This is the first post delving into the various systems in a tiny house. For the others, please see the links at the bottom of the introductory post, here. Of the various and interrelated systems in a tiny house, one that deserves a lot of attention is the various means of storing and preparing food. As always, there is no one true answer as the needs of the people living in the house will dictate the proper solution. So lets delve into the sorts of decisions that need to be made when planning for food storage and preparation! Food storage, both dry and cold, is a matter of volume versus frequency. The more frequently you shop (at a store or in your garden) the less you need to store at any one time. If you are the type that goes to the store once a month and stocks up, you will need more storage space for your food. Also, the number of people being fed will have a definite effect on volume. Dry food storage typically consists of shelving and cabinets. I say typically, because some supplies just need a nail and a handy rafter. 😉 Be sure and plan for plenty of storage in your tiny house, and don’t be surprised if there is never enough, it is just like closet space in that respect. Cold storage again depends upon the volume and frequency of what is being stored. 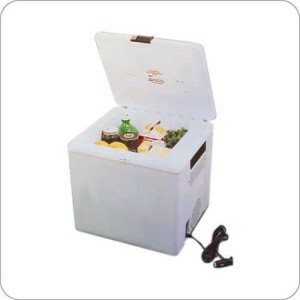 In modern life, cold storage equates to a refrigerator. 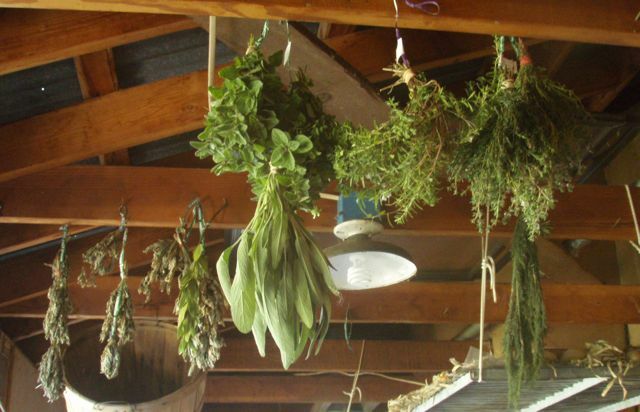 However, there are older technologies that can be utilized in a permanent location with a bit of preparation, such as root cellars and spring houses. 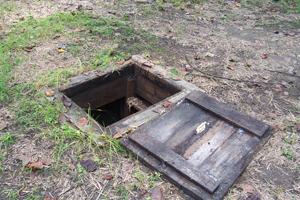 Root Cellars are nothing more than holes dug in the ground and covered, with the purpose of utilizing the steady state temperature of the earth. The goal is to dig down to below the frost line, which depending upon your latitude on the earth can range from the surface near the equator to 6 feet (2 meters) or more near the poles! The earth’s temperature at that depth is typically between 55 and 57 degrees Fahrenheit (13 to 14 degrees Celsius). A root cellar is typically finished out with walls and a floor, mostly to keep the sides from crumbling down into the cellar. They can be sizable rooms with an earth covered roof, or just be a hole with a cover. 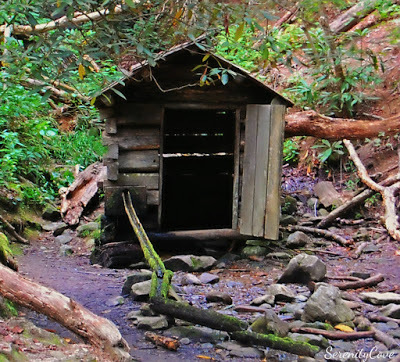 Spring Houses are similar in function to root cellars in that they use nature’s coolness to keep food stuffs cool. They are small houses typically built over a spring or cold stream. The cold water is channeled through the house, and food stuffs are typically kept in pottery placed into the running water, or on shelves above the water such that the coolness from the cold water that keeps the air in the spring house cool, also keeps the stored items cool. 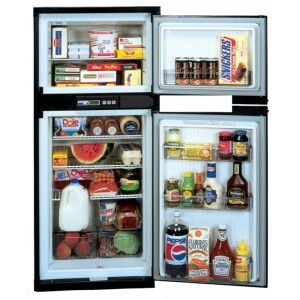 Modern civilization makes use of refrigerators and freezers to keep food cold. In a tiny house, space is at a premium, and your huge double door fridge with all the bells and whistles takes up a LOT of space. So go ahead and be honest when you figure out just what you need to keep cool or cold. Are the only things you keep in your fridge a gallon of milk (sometimes turned), cans of Mountain Dew and leftover pizza? You might be able to get by with something quite smaller, such as a travel refrigerator. The majority of tiny houses will use a compact refrigerator, often termed a dorm refrigerator. Aside from the capacity of the refrigerator, one of the primary concerns that needs to be considered is the manufacturer recommendations on installation clearances in an enclosed space. Take a look at the user manual for the model you are considering. Look for information on proper air circulation or choosing the right location. When doing your space planning in your kitchen, you need to ensure that there is at least that much space around the refrigerator. Some manufacturers recommend as much as 5 inches at the rear and as much as 3 inches to the sides and top, so research and be aware of these requirements before purchasing. Other considerations are whether or not the refrigerator has a freezer section. Some do, some don’t. Only you know what your needs are, but be aware, the majority of them that do have freezer sections are tiny, having only enough room for maybe two or three frozen meals at a time. Freezers are another solution for those who need more freezer space. There are two types, upright (door on the front) and chest (door on top). Of the two, the chest style is the most efficient. This is because cold air sinks lower and hot air rises. In a chest style, you open the top lid, and the cold stays in the chest. 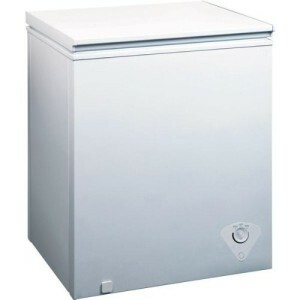 In an upright style, you open the door and the cold spills out of the bottom as the the warmer air goes in a the top, requiring the freezer to work harder to cool the air inside back down when you close it. The above are options available from the home supply and department stores, but there is another option available, which is to look at RV suppliers. The RV market has a number of options available that are perfect for tiny houses, to include refrigerators and freezers designed to be installed into cabinetry with zero clearance on the sides and capable of running off of 120 volt AC, and propane gas (two way) or 12 volt DC, 120 volt AC, and propane gas (three way). Like everything, the more features or the more specialized, the more expensive. 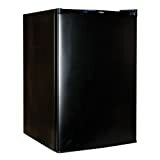 To see what I mean, check out the linked to 3-way (gas / 12 v DC/ 120v AC) refrigerator with top freezer. It is expensive, but might be worth it to you. You can even get them with ice makers built in! Just like with food storage, there are many options available for a tiny house resident when it comes to cooking. These range from a campfire to a full blown stove and oven, and everywhere in between. Also like with food storage, it is the need of the inhabitants that determine what is needed. If all you eat is frozen meals, a microwave is preferable to a stove. 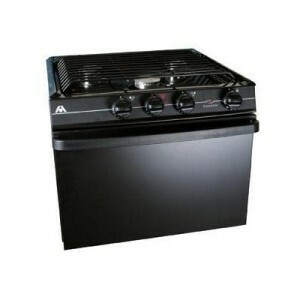 If you LOVE to grill, maybe a propane or charcoal grill with a side burner will be of better utility. If you like to bake, an oven is a must. It is up to you to determine what your needs are and plan accordingly. Although of interest to the discussion, I will give only mention of campfire cooking and grilling out, as the ins and outs of those methods could fill a blog for years to come. Instead, I will focus on the cooking appliance options available for installation in a tiny home. Many people have determined that they do not need anything more than a hotplate and a microwave to prepare their meals. There are loads of counter top burners available out there like the one to the left, and you can (as always) spend more for quality and features. Although, at its most basic, a single electric burner will fit the bill, most people that go this route opt for a double burner style. 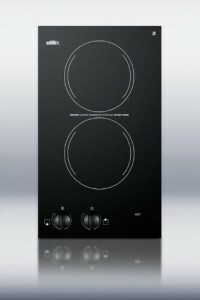 You (of course) have your pick of aesthetics, and a popular option is an induction style cook top due to their smooth, clean lines. Be aware that you can only use cast iron or stainless steel cook wear with them without having an adapter due to the way that they work. 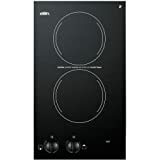 They work by running alternating current electricity through a coil under the burner surface, that creates, or induces, an oscillating magnetic field in the pot placed on the burner. This magnetic field created in the pot or pan causes the metal to heat up, thus cooking your food. 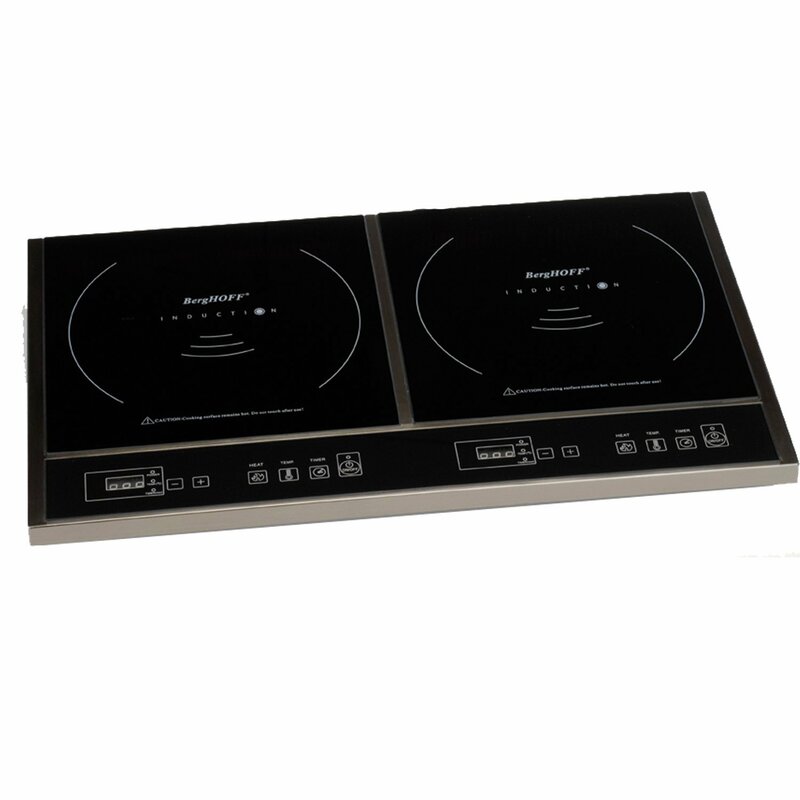 Some primary benefits of an induction burner are that it is more energy efficient than a traditional resistance style burner, it allows instant control of the burner allowing for more precise cooking, and due to the way that it only heats the pot, the underlying surface only heats up from contact with the heated pot, which significantly reduces the risk of burns, Also, as the pot itself is all that is heated, the air surrounding the pot is not directly heated the way it is with resistance electric or gas burners, which is more efficient and less of a heat source for your air conditioning to work against. For about the same real estate on your counter top, you can go to a counter top insert. Yes, they are more expensive, but as a built in, there is less danger of it becoming a projectile when you go over a bump. Not to mention, they look better and leave your counter top less cluttered. These are available in gas or electric models, and, as always you can spend as much as you want for one. Of course, when looking at countertop inserts, you can go as large and as fancy as you want. Any of the larger models that are available for your standard house kitchen will work in a tiny house, it is merely a matter of deciding how much counter space you wish to give up. If you need an oven however, there are two options available. You can make room for a standard size stove with oven, or go for one made for an RV. 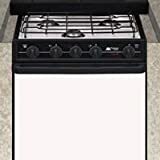 The standard household stove with an oven comes in many sizes, styles, and flavors, and if you need the cheapest option, just keep an eye out on your local Craigslist, where you can often find one for free or a minimal amount. The RV style stoves with ovens typically come in gas, set up for propane use. They are smaller than your typical stoves with ovens, which is both a good and a bad thing. Good, in that it fits into your tiny house better; bad, in that it limits the size of the the thanksgiving turkey you can cook. 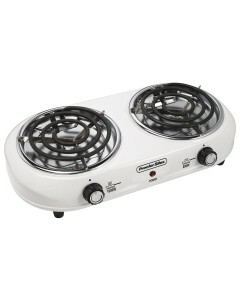 Linked is a 21 inch version, with 3 gas burners. I consider it a good compromise between size and utility, and plan to use this version in the majority of my designs that do not have room for a standard home style stove with oven. 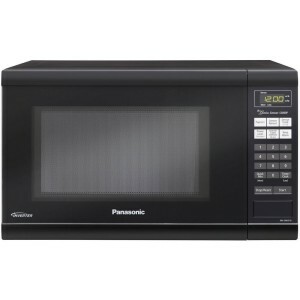 Microwaves, as you know, come in all sizes, colors, and capacities. For a tiny home, as always, the space taken up as opposed to the utility provided is a needed consideration to be decided upon. Some are designed to mount over the stove and provide a vent hood function, which may be a consideration for you. Ultimately, it is a matter of your preference, size, and feature requirements. I would be remiss in mentioning appliances for a tiny house without mentioning what many feel is the most important of all, the coffee maker! 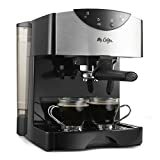 Now I will not attempt to state which one is best, as no one wins that argument, but I will state the one that for us, is the best combination of price and function, providing a great cup of espresso at a relatively inexpensive price. This is the Mr. Coffee ECMP50 Espresso/Cappuccino Maker. 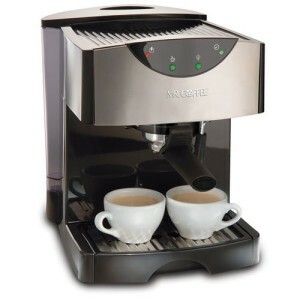 It combines the best of the traditional coffee maker with a pump driven espresso machine. There is a water reservoir in the rear, and it has a milk frothing wand that works, but gets dirty quickly. However, the quality of the brew is excellent, and has ruined me for regular drip style coffee. My one caveat for you to consider when it comes to small, counter top appliances is that you need to ensure you have the electrical outlets available for them, as well as a place to store them or a means to secure them while moving the tiny house. Ultimately, planning out what you want and need is paramount in deciding what sort of space and hookups you need. As you can see there are a lot of options to be considered when selecting the food storage and preparation systems for your tiny house. But the more decisions you can make up front, the better satisfied you will be when you are living in your tiny house. As a tiny house designer and soon to be builder, these considerations are all part of my design process. Next up in the series on Tiny House systems is the water system. I will touch on supply and waste considerations, as well as the issue of holding tanks.